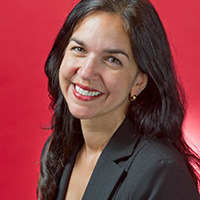 Lisa Singh is a Tasmanian Labor Senator in the Australian Senate who commenced her term on 1 July 2011. She has a Bachelor of Arts degree with Honours from the University of Tasmania and is regarded as the first person of South Asian descent to be elected to the Australian Parliament. Lisa was elected as the Labor member for Denison to the Tasmanian House of Assembly from 2006 – 2010, and was appointed Minister for Workplace Relations, Minister for Corrections and Consumer Protection and Minister Assisting the Premieron Climate Change in 2008. Lisa has worked in management positions in community and public sectors as well as previously working as an adviser for State and Federal parliamentarians. Lisa is committed to the protection and promotion of human rights globally, and has previously held the positions of President of the United Nations Australia Association -Tasmanian Division, President of the YWCA Tasmania, and Director of the Tasmanian Working Women’s Centre and Board Member of the HobartWomen’s Health Centre. Lisa has been actively involved in the Australian RepublicanMovement and is the founding CEO of Asbestos Free Tasmania Foundation. Lisa recently participated in the Lowy Institute’s Australia-India Roundtable in New Delhi. She has also visited India to meet representatives on issues including asbestos and workplace health and safety. In July 2012, Lisa was invited by the Australian-Tibetan Council to visit the exiled Tibetan parliament in Dharamsala, Himachal Pradesh, where she met with representatives of the Tibetan Government and human rights sector. Lisa was given the role of caucus liaison to facilitate Federal parliamentary Labor party engagement on the Australia in the Asian Century White Paper. Lisa is a passionate supporter of the Australia-India relationship and looks forward to working to develop and strengthen ties between both countries through her role as an Australian Senator.